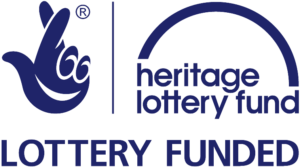 We are thrilled to announce that War Widows’ Stories has received a Heritage Lottery Fund (HLF) Sharing Heritage grant. Commenting on the award, Dr Nadine Muller – the project leader – said: “War widowhood is an inevitable and undeniable, yet largely forgotten, part of war. War Widows’ Stories wants to help afford these women their rightful place in history by making their stories heard”. Mrs Mary Moreland, Chair Elect and Public Relations Officer of the WWA, said a project like this is long overdue, and the Association is excited to work with Dr Muller: “Part of our work on improving the lives of war widows and their families is to raise awareness of their circumstances. Our members have so many different, untold stories to share of their experiences as war widows, and we are thrilled they will finally have the chance to tell them”. Nathan Lee, Head of HLF North West, said: “At Remembrance-tide, so many stories are told to ensure we do not forget those who lost their lives in the conflicts of the twentieth century and today. Now, this new project, made possible thanks to National Lottery players, will mean that the LJMU and WWA can do more to shine a light on the lives and stories of those war widows left behind and honour their place in history”. If you would like to access the full press release, please click here.